Hey guys! Today I have the second half of the Zoya Fall 2014 Collection called the Ignite Collection! Zoya is calling these "Liquid Metallics" and they are really gorgeous! 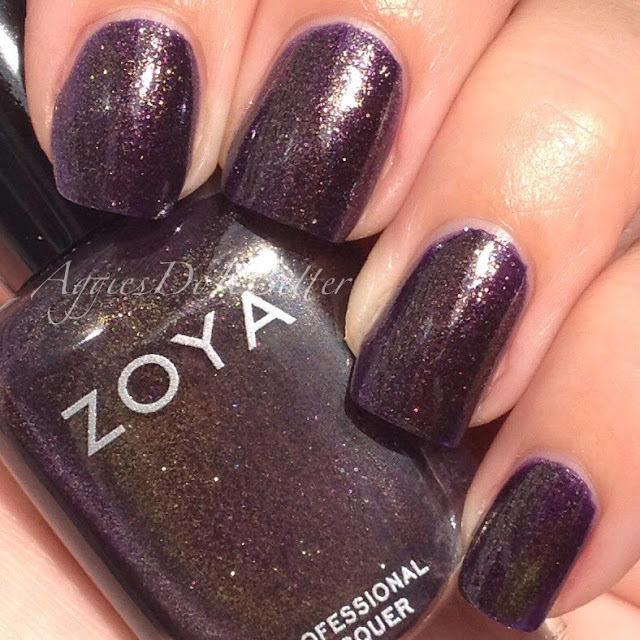 I already reviewed the first half of the collection, the Entice Collection of cremes, which you can see here. Click Read more after the collage for the swatches! 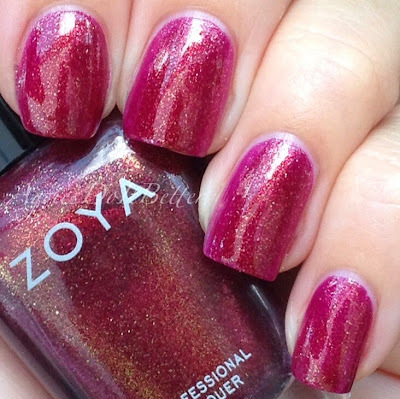 First up is Teigen, which Zoya describes as "full-coverage pink toned cranberry with a copper liquid metal" I just really love all dark pink-cranberry-raspberry tones. I like them better than light pink! This one is gorgeous with a coppery shimmer running through it. This is the first one I put on and I didn't want to take it off! This is 2 coats and impressively opaque. 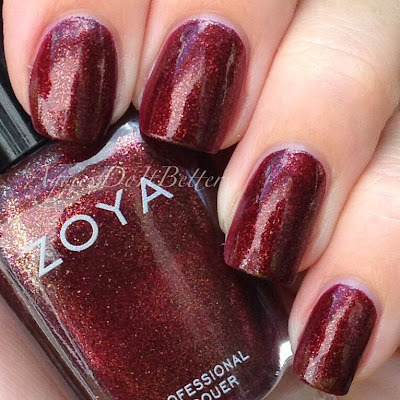 Next is India, described by Zoya as "deep, luxurious red with a gold liquid metallic shimmer" This is a really dark red, more of a red-brown to me. 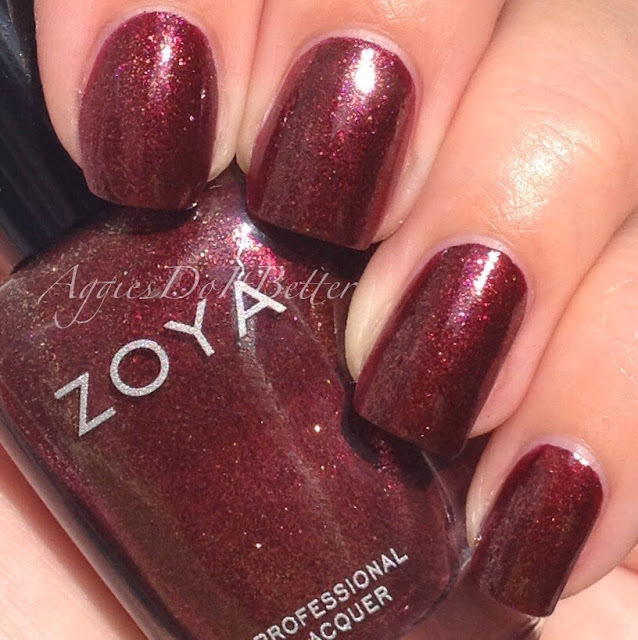 2 coats, applies great just like Teigen. 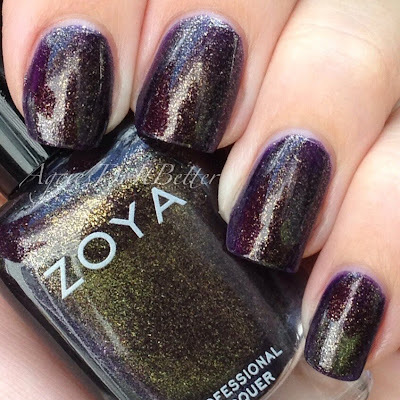 This is Yuna, described as "full-coverage warm grey with copper and gold liquid metal." This one is a favorite for me, the gray with the copper shimmer is a really interesting combo. 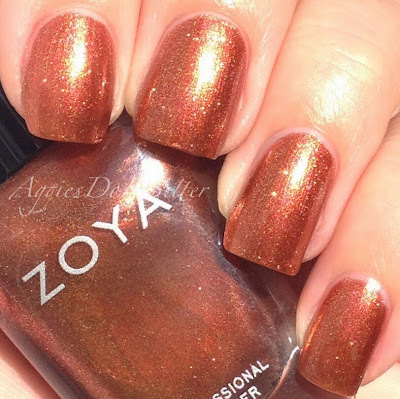 For me this one was a little thinner formula than the rest with one other exception (Autumn) but it still only needed 2 coats. 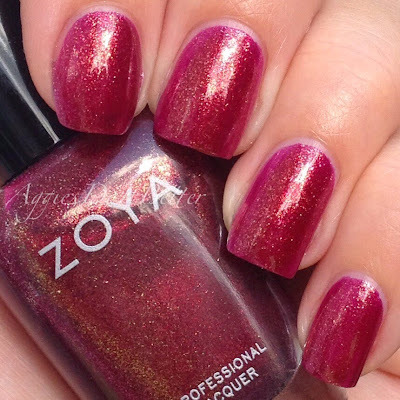 The first coat just seemed a little more sheer. Next is Autumn, Zoya calls this a "varnished copper liquid metal". It's really pretty, and certainly sparkly, but this not a color I would wear on its own, really. Probably ever. That's just my personal preference! 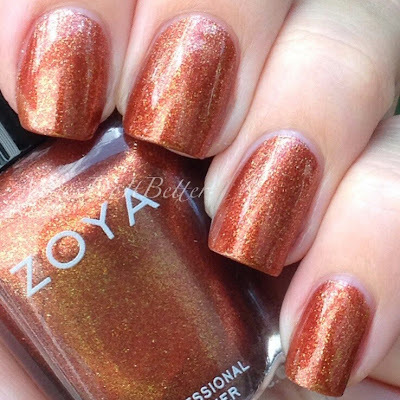 However, I will use it in a ton of fall nails for art because it is very fall-ish, wouldn't it be pretty for some leaves? This one also seemed to have a thinner formula like Yuma, but still only needed 2 coats for full coverage. There you have it! 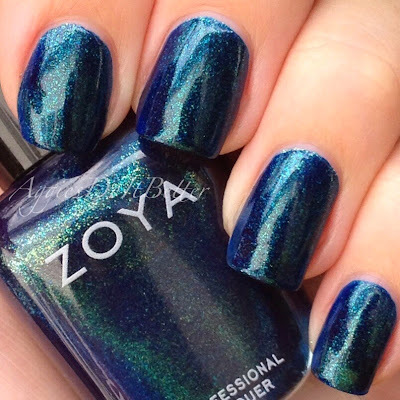 This collection is available for preorder now at Zoya.com! 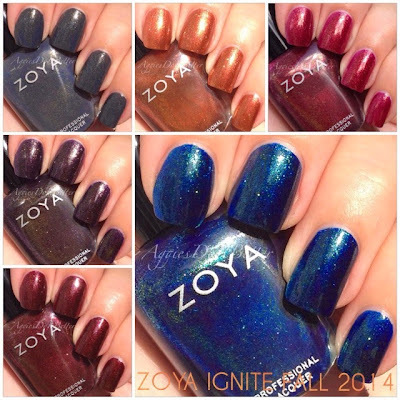 These bottles retail for $9 on the website and wherever Zoya is sold near you. These polishes were provided to me for review but my opinions are my own and 100% honest!